After taking your share of semi-shameless Eiffel Tower selfies from the 16ième, cross the place-come-roundabout directly behind you in a general North-East direction. This should land you squarely in front of café Carette. Greeted by your typical array of woven, outward-facing brasserie chairs, stroll on inside where your mouth will promptly start to water at the sight of their glorious pastry cabinet. 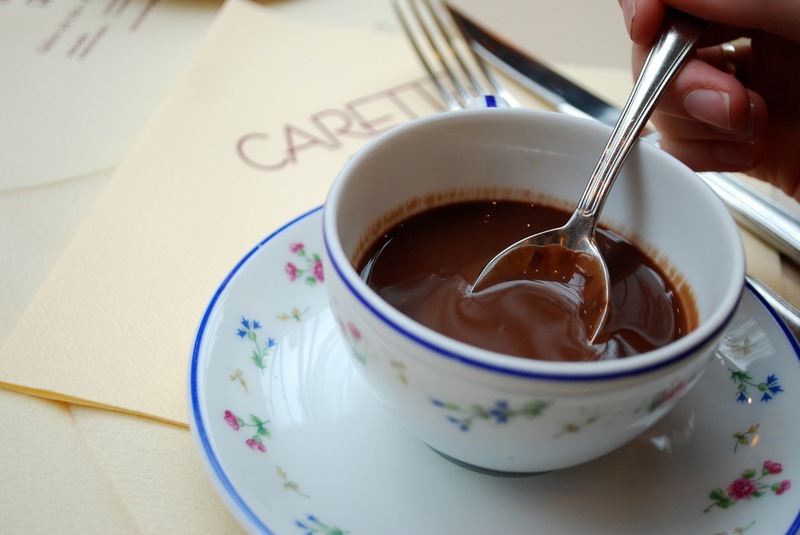 Carette is one of those places suitable for any meal of the day. And while I am almost certain it would be very hard to go wrong with any menu item, I can say with confidence that the Quiche Lorraine, Chocolat Chaud (hot chocolate), and Tarte au Citron (lemon tart), were some of the best I'd ever eaten in Paris. Just saying.